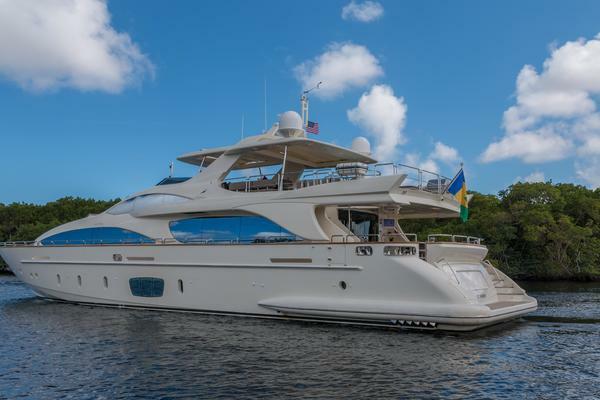 United Yacht Sales New Jersey would love to guide you through a personal showing of this 100' Ferretti Yachts Custom Line 100 2012. 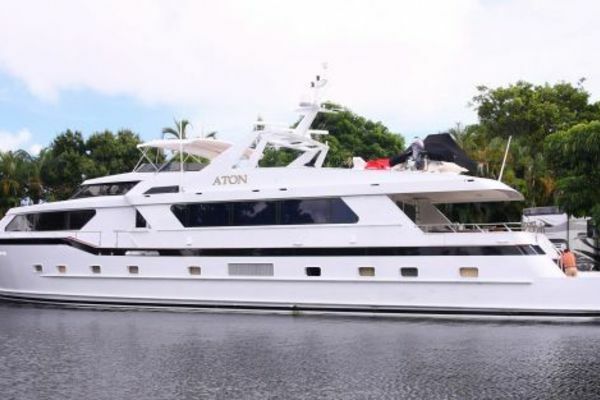 This yacht for sale is located in Aventura, Florida and priced at $6,300,000. For a showing please contact us by filling out the form on this page and we will get back to you shortly! Tap fittings + accessories for bathroom -diff. Blue hull coloured CL100 -diff. TV: electric raising device from ceiling for TV 40"/43" for cockpit TV 40"
Leather covering for helm position - diff. std. Pilot house upholstered with Mover and Leather "Moretto" (brown) – diff. Sofa/chaise longue in master cabin - diff. std. Electric saloon curtain with fabric "Dedar Zen col.5 Sand + fabric Casamance Volga 754.02.84"
Reading lights in master cabin -diff. Additional lamp in Master cabin desk lamp in owner cabin "Kundalini Eero"- diff. Covering for cockpit cushions CL fabric - diff. std "Dedon 790 White"
Upholstered for sofa and sunbathing area at bow # diff. "Dedon 790 White"
Internal stairs in wooden floor "wenge with non sliding painting" – diff. Cockpit chairs: model Barcelona -diff. Moquette troika in master cabin/Id diff. std. Inferior part "Feltro 154 ciliegia chine"
Superior part "Feltro 069 Rosso"
Plaid cashmere "G&M" stitch "Nuvola"